An Afghan Muslim who claims he killed people while fighting for the Taliban has used the Human Rights Act to remain in Britain – despite Government efforts to deport him. 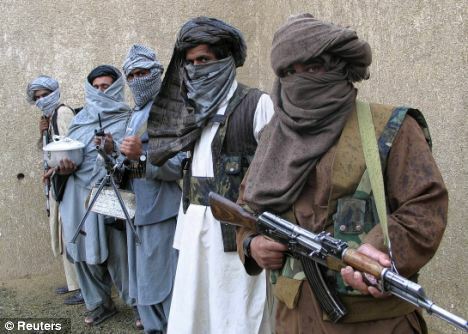 Zareen Ahmadzai, who spent three years fighting in Afghanistan, has admitted using a Kalashnikov rifle and firing rockets, as well as supplying weapons and food to the Taliban. The Home Office rejected his claim for asylum, and when his appeal also failed, Ahmadzai was detained at Harmondsworth immigration removal centre in West London while awaiting deportation. Yet when the 30-year-old – who initially did not speak English – mounted a fresh appeal, he was able to overturn the Home Office’s case on the grounds that his life would be at risk if he returned home. 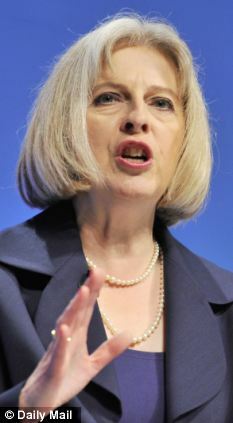 The decision is another setback for Home Secretary Theresa May, who is under pressure to reform human rights laws following a series of high-profile cases in which Muslim extremists have avoided deportation. Ahmadzai arrived in Britain illegally in May 2010 after travelling from Afghanistan in lorries. Two days later he was arrested at an address in Wolverhampton and claimed asylum. When the Home Office ordered he be deported, he appealed to the immigration court. Although a judge rejected his appeal, Ahmadzai took his case to the Upper Tribunal Immigration and Asylum Chamber. The tribunal heard Ahmadzai joined the Taliban after his father, who was a commander in Helmand province, was shot dead by US soldiers during a battle. He said that he killed people during his fighting with the Taliban as well as supplying the group with weapons, water and food. The court ruling said: ‘He believed that he was advancing the cause of Islam. He said that his father was shot during fighting against the Americans. The ruling continued: ‘He was involved in fighting over a three-year period according to need. Ahmadzai claims that when he tried to leave the Taliban after he realised innocent people were being killed, he was taken to a mountain and tortured. He alleges that shortly afterwards he fled the country but cannot return because his life would be in danger from both the Taliban and the Afghan National Security Forces, who oppose the Islamic extremist group. 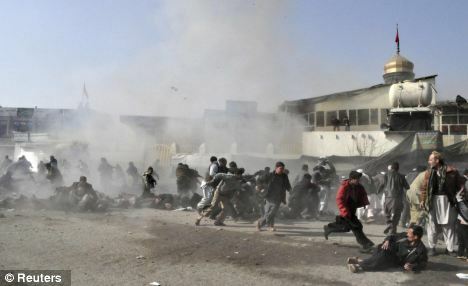 The court ruling said: ‘He was asked why he could not relocate, for example, to Kabul. He asked rhetorically if a murderer could expect to relocate in London. Psychologists who have examined Ahmadzai say they believe he was suffering from post-traumatic stress disorder, which is caused by highly stressful or frightening events, such as armed combat. Although the Home Office disputed Ahmadzai’s story and did not believe he was wanted by either the Taliban or the ANSF, Senior Immigration Judge Jonathan Perkins ruled that he must not be deported. The case was heard at the tribunal in June last year but the judgment was only announced in March. Alp Mehmet, vice-chairman of Migrationwatch UK think-tank, said: ‘This case is one of the absurdities that brings the whole immigration, appeal and Human Rights Act process into disrepute. ‘Most sensible people would think the Human Rights Act was never intended for this type of case. A UK Border Agency spokesman said: ‘We are extremely disappointed with the court’s decision. ‘We did not believe that this individual needed or deserved refuge in this country. UKBA would not disclose whether it knew where Ahmadzai now lived. However, it is understood that he is legally free to live anywhere in Britain.